FROM BEST-SELLING AUTHORS TRAVIS S. TAYLOR AND JODY LYNN NYE. A teenage girl and her fellow Bright Sparks must do what it takes to stay alive and achieve success in this sequel to Moon Beam. Barbara Winton and the rest of the Bright Sparks, Dr. Keegan Bright’s team of young scientists, find themselves facing a challenge that will test all of their scientific skills and personal courage. They are competing in the first ever race to completely circle the Moon. The Sparks, and twenty-five other teams, have to count on one another as they face thousands of kilometers of unknown dangers, where even a simple accident can have fatal consequences. They form close friendships with racers from all over Earth, but also have to deal with former Spark, Pam, a mysterious and threatening figure whose departure from the Sparks program is shrouded in mystery. While the Sparks compete in the race, Dr. Bright himself is part of a groundbreaking project to seek out rare minerals underneath a crater. On the far side of the Moon, in the airless, frozen depths beneath the lunar surface, disaster strikes. On the thinly settled Moon only the Bright Sparks may be close enough help him. The young scientist find themselves not only racing for victory, but to save their beloved mentor. 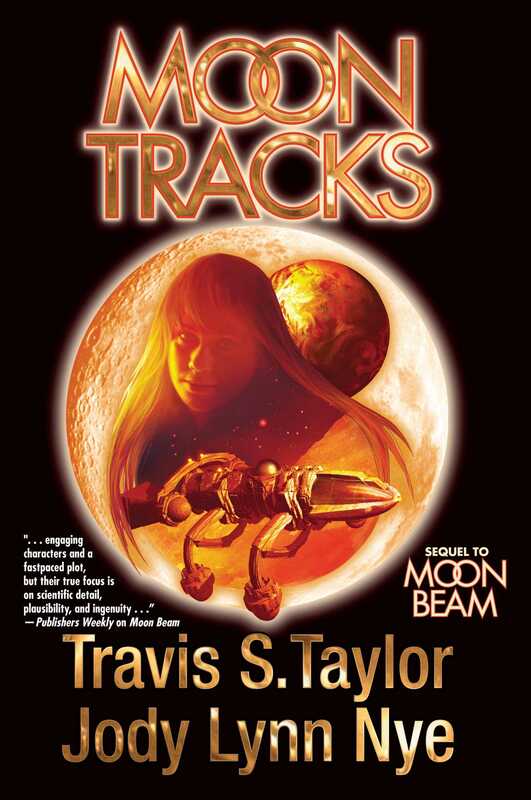 “[E]xplodes with inventive action.—Publishers Weekly on Travis S. Taylor’s The Quantum Connection.